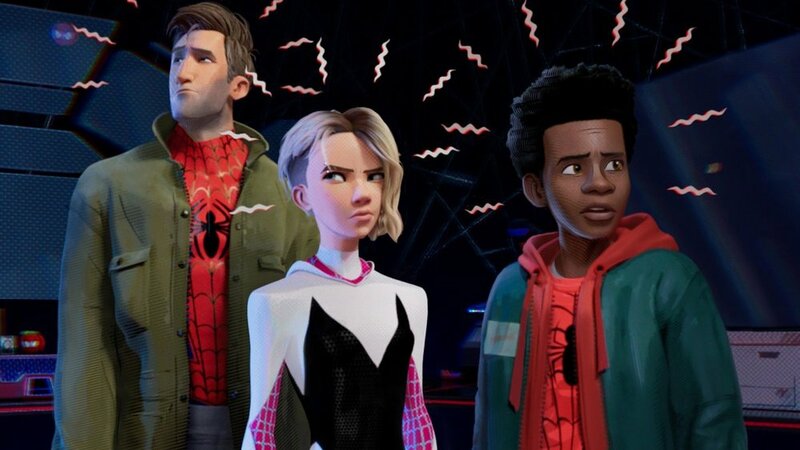 Sony Pictures recently dropped a new photo for Spider-Man: Into the Spider-Verse offering fans a new look at Miles Morales, Peter Parker and Spider-Gwen. The studio recently had a big presentation for the film at Comic-Con where they showed off an extended cut of footage. The crowd in Hall H went crazy for that footage and I had a smile on my face from ear to ear as it played out. This movie looks like so much damn fun and I love the unique visual style. I'm actually more excited for this film than I was for Spider-Man: Homecoming. There were also some new characters that were revealed in the footage including Kimiko Glenn (Orange Is the New Black) as SP//dr aka Peni Parker; comedian John Mulaney as Spider-Ham; and the previously revealed Nicolas Cage as Spider-Man Noir. 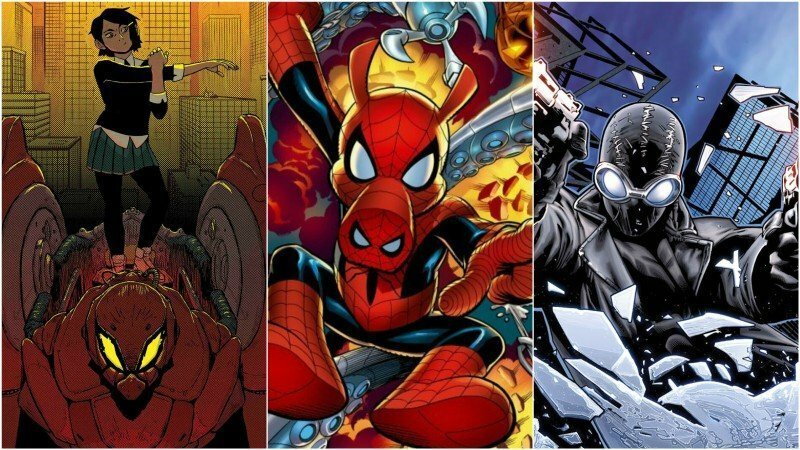 The older middle-aged Peter Parker in the movie will be voiced by New Girl star Jake Johnson, Liev Schreiber is playing the larger-than-life crime lord Kingpin; Hailee Steinfeld will play spunky, free-spirited Spider-Gwen; Mahershala Ali will provide the voice for Miles’ uncle Aaron; Atlanta star Brian Tyree Henry will voice Miles’ father Jefferson. Rounding out the cast is Luna Lauren Velez as Miles’ mother Rio, and Lily Tomlin will be Aunt May. The film will be released on December 14th. This Delightful Music Video For SPIDER-MAN: INTO THE SPIDER-VERSE is Loaded with New Footage! Great New TV Spot For SPIDER-MAN: INTO THE SPIDER-VERSE - "We're Gonna Need Backup"